Primary Parkinsonism is due to classic idiopathic Parkinson’s disease and includes sporadic and familial cases. 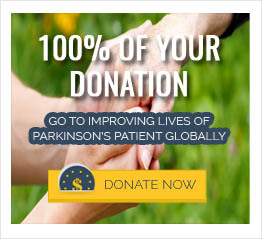 The classic idiopathic Parkinson’s disease makes up about 75-80% of cases of Parkinsonism. Exposure to toxins like MPTP, carbon monoxide, manganese, cyanide, carbon disulfide as well as pesticides and other chemicals has been known to result in parkinsonism. MPTP is a toxin which was discovered initially to cause parkinsonism when a few college students in California preparing synthetic heroin which was contaminated with MPTP. They developed features of Parkinsonism. Today, MPTP is used in research laboratories to cause parkinsonism in experimental animals. Multiple lacunar strokes in the basal ganglia or subcortical areas of the brain may result in Parkinsonism. Vascular Parkinsonism may affect mainly the legs while Parkinsonian features may not be present in the arms. These patients complain of difficulty with walking, and upon examination, have an abnormal gait with small steps, shuffling, freezing and falls. They may not manifest other symptoms of Parkinson’s disease like rigidity and tremor in the upper extremities. Vascular Parkinsonism may be less responsive to treatment. Repeated trauma to the brain may result in Parkinsonism, such as seen in boxers. This may occur due to hypoxic insult to the brain at the time of birth and these patients usually have unilateral features of Parkinson’s disease. The affected side of body may develop slower than the other side and the hands and feet may be smaller in size than the unaffected side. This type of secondary Parkinsonism usually progresses much slower than classic Parkinson’s disease. Brain tumors, especially when involving the basal ganglia region, may cause Parkinsonism. For example, a low grade glioma occurring in the region of the basal ganglia may cause symptoms of Parkinsonism on the contralateral side of the body. Low grade gliomas are slow growing tumors, therefore, symptoms of Parkinsonism on the contralateral side may progress slowly. Sometimes these tumors may not cause other symptoms like headaches or seizures because of their deep location and slow growth. Therefore, in a middle aged patient at the onset of Parkinson’s disease, brain imaging is required to rule out such conditions. Lack of oxygen to the brain may result in anoxia of basal ganglia and may manifest as secondary Parkinsonism, as seen in carbon monoxide poisoning. Metabolic disorders such as parathyroid dysfunction and hypocalcemia may cause Parkinsonism.